There has been an increase in the proportion of academics on permanent contracts over the past decade, university employers say. 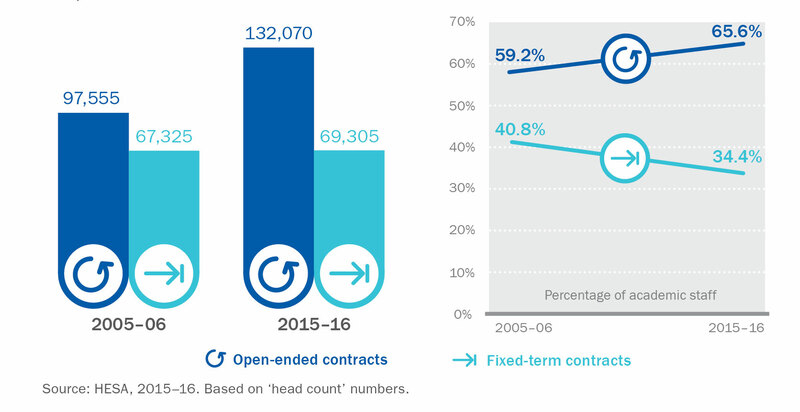 The total number of fixed-term (casual) contracts increased 2.9 per cent across a decade, compared with a 35.4 per cent increase in open-ended academic contracts, according to new infographics produced by the Universities and Colleges Employers Association (UCEA), using data from a joint working group established with the unions and from the Higher Education Statistics Agency. But the figures have been disputed by the University and College Union, which has described them as “deeply misleading”. According to UCEA, in 2015-16 nearly 66 per cent of academic contracts at universities in the UK were open-ended, up from 59 per cent ten years previously. In total, the employers say 132,000 academic staff were on open-ended contracts in 2015-16, compared with 69,000 on fixed-term contracts. Concern over “casualisation” of the university workforce will be high on the agenda when the unions meet the employers’ representatives on March 30 for the start of talks on the 2017-18 pay round. 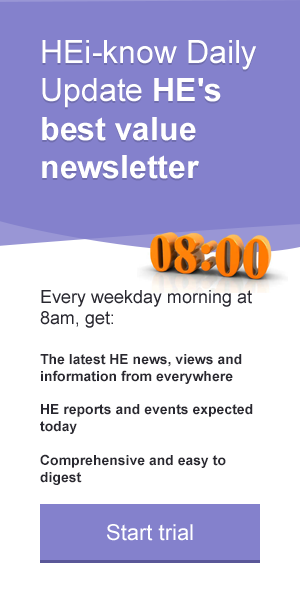 The unions – UCU, Unison, Unite, GMB and EIS - are making their joint submission this week. The last scheduled date for negotiations is 27 April, but last year’s pay deal was not agreed by most parties until late November. There has been a dispute between the two sides around the inclusion or labelling of so-called “atypical” academic staff in the group of those on fixed term contracts. Many of this category of staff, say UCEA, are skilled industry professionals contributing to courses as teachers and lecturers or are PhD students who are also teaching. Nearly half of fixed-term academics work in higher education institutions in contract research work and research fellowships “financed by time-limited external funding”, the group says. On average, an atypical contract in HE is 17.5 days in a working calendar year, according to HESA data used in UCEA’s new graphics. But Paul Bridge, UCU’s head of HE, disputed the figures. He said: “The infographics showing the extent of atypical contracts are deeply misleading and give a very diminished impression of the prevalence of these contracts in many universities today. “UCEA has converted contracts to Full Time Equivalence (FTE). This is not a good way to measure small part-time contracts. Hourly paid teachers are paid just to teach whereas a full-time lecturer is paid for a full range of duties. One or two hourly-paid lecturers may do the same amount of teaching in a week as a full-time lecturer, but their FTE will look like a tiny fraction of that of a full-time lecturer. Day in, day out, hourly paid teachers work more hours than they are paid for and live with extraordinary insecurity as they struggle to build a career. "UCEA’s infographics are an insult to hourly paid teachers and the work they do. A far more useful graphic would show us the proportion of classroom tuition hours being taught by staff on insecure contracts." The issue of fixed-term or casual contracts and that of gender equality in pay are key areas in which the unions seek improvements. Last year, an offer of 1.1 per cent was rejected, with the UCU’s general secretary Sally Hunt saying that university staff’s pay had fallen by nearly 15 per cent in real terms since 2009, while that of vice chancellors had risen five per cent in one year. On the issue of gender pay, the union said male members of staff were earning on average 12.6 per cent more than a female one. There were walkouts and demonstrations at many UK universities in the pay dispute last year, as staff “worked to contract”, before a settlement was reached. UCEA says it has been working with the unions over the past two years to tackle issues around pay and contracts. An equal pay working group has been set up to advise and come up with guidance on closing the gender pay gap and on “variable hours and fixed-term teaching staff”.